Excel High School is a State Department of Education recognized accredited high school serving students in all 50-states. EHS offers full time 9-12 and adult high school diploma programs, credit recovery and summer school courses 100% online. 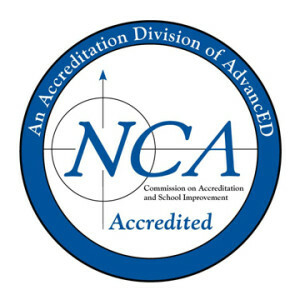 Excel High School is Regionally accredited by AdvancED. AdvancED is the parent organization for the North Central Association Commission on Accreditation and School Improvement (NCA CASI) and the Southern Association of Colleges and Schools Council on Accreditation and School Improvement (SACS CASI) and the Northwest Accrediting Commission. AdvancED is recognized by the Department of Education as a legitimate, government recognized accrediting agency for public and private schools. Earning a high school diploma from a regionally accredited school means that your high school diploma and credits will be recognized by other schools, colleges, universities, the military and employers worldwide. AdvancED accreditation ensures that Excel High School’s educational programs and services meet certain criteria set forth by our accrediting agency and the State Department of Education. Provides proof that the high school has established industry quality standards. Established eligibility for federal financial aid programs for post-secondary enrollment. Ensures continuous improvement for the benefit of our students’. Assists in improving learning outcomes and student success. Fosters a student-centric learning environment. Not every student is the same. Excel High School is a nationally recognized and accredited high school. Excel High School is registered with the Florida Department of Education as a private diploma granting, regionally accredited high school. 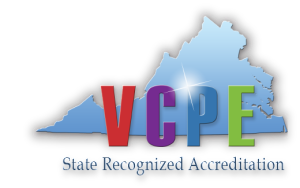 Excel High School is a State of Virginia recognized accredited private high school. Excel High School is an A+ rated organization with the Better Business Bureau.